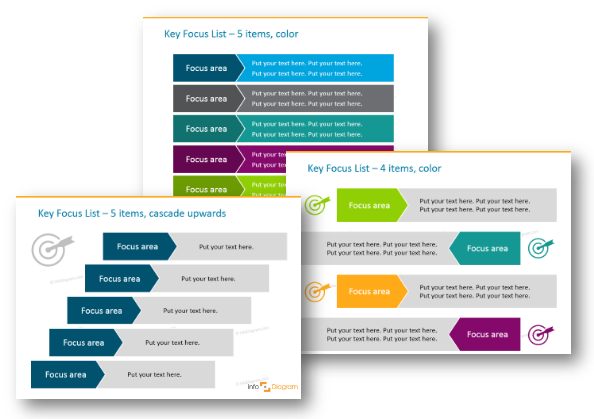 Do you use lists and agendas often in your presentations? I bet the answer is yes. What is more: we use them every day, and not only at work. 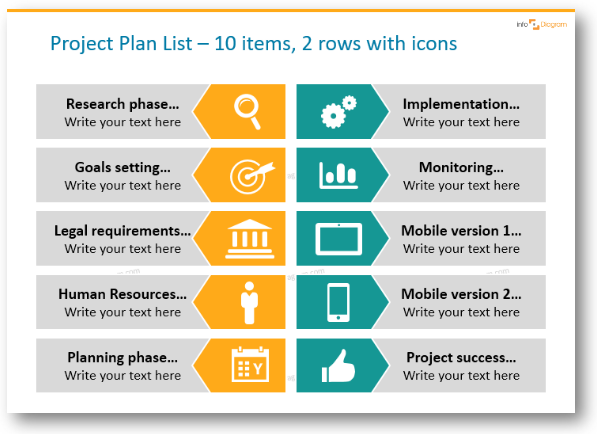 There are projects plans, TODO lists, priority checklists and a lot more. Let’s get creative and go a little bit further than creating regular lists. Here are a few creative alternatives you can use to replace default bullet point enumerations in your presentations. The general idea is to replace each item in bullet point by visually more attractive design. Below we propose several different shapes you can consider. 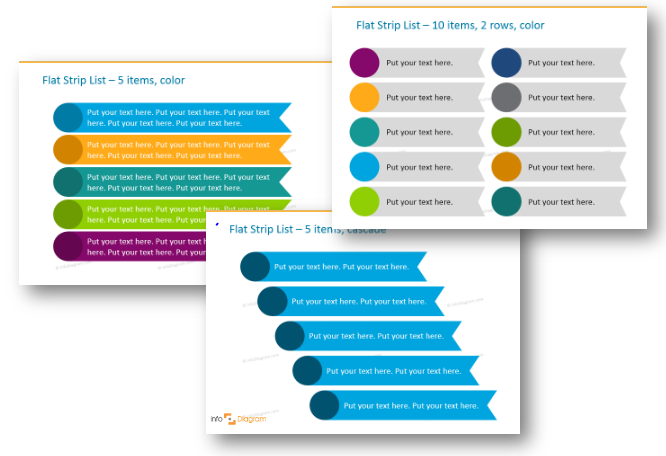 I suggest using shape type and colors that fit the most your brand or graphical style you use in your marketing materials. Check your company brand book or website design. These rounded shapes can be used to represent values of something stable, friendly, something ideally shaped, perfect. 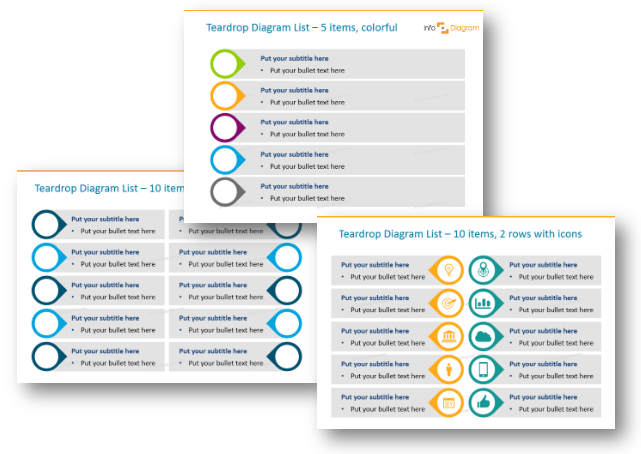 You can use teardrop lists for your investor pitches, market research reports, HR, strategy and planning presentations. If you like the list diagrams above, check the particular presentation slides set (click on slide picture to see details).